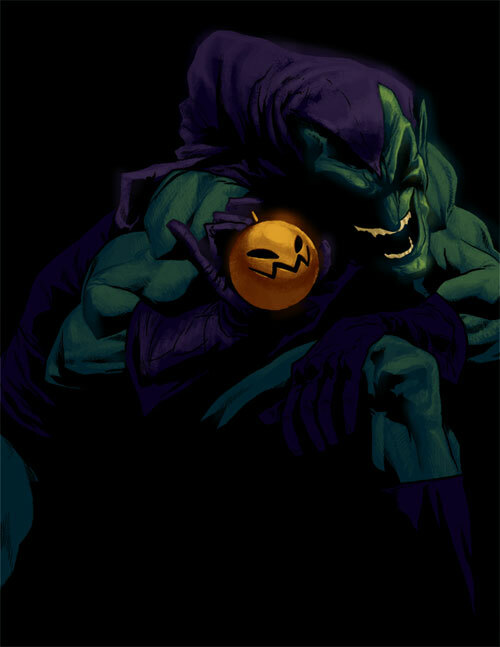 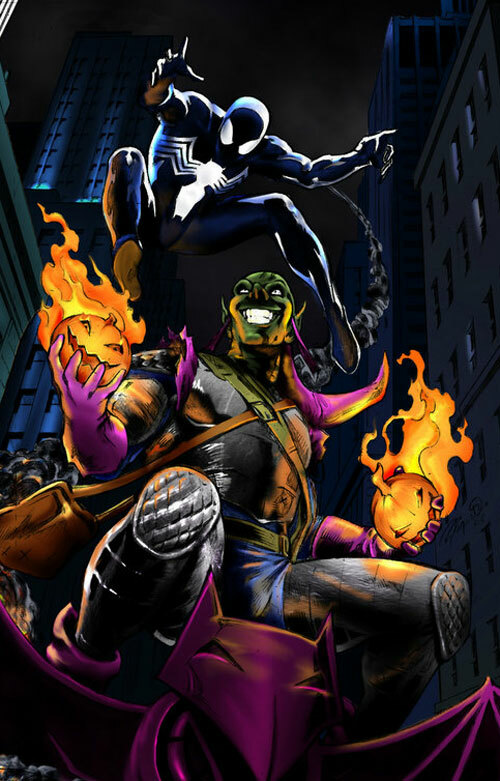 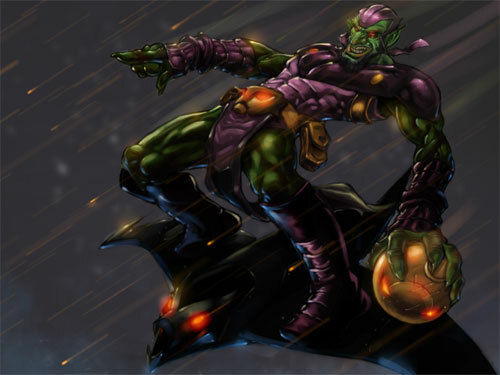 Another supervillain appearing in comic books published by Marvel Comics is Green Goblin. 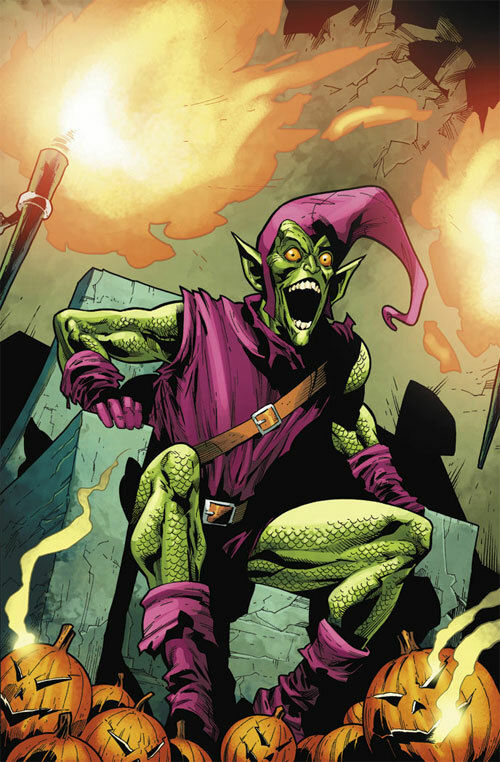 Throughout its publication, many characters have taken up his identity. 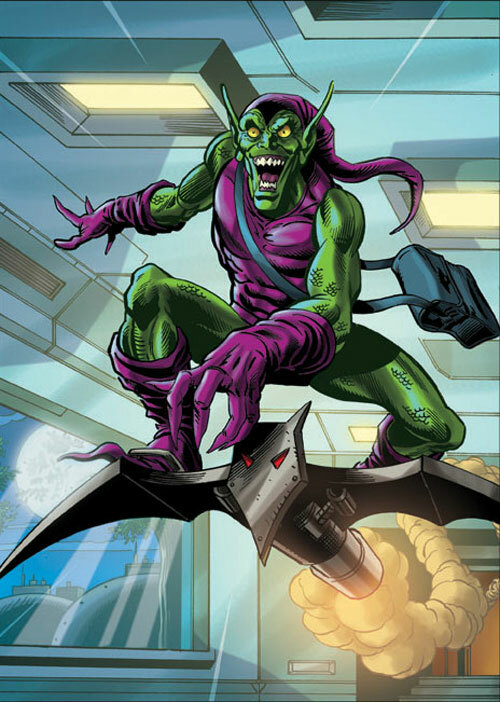 One of the most popular character, however, was Norman Osborn. 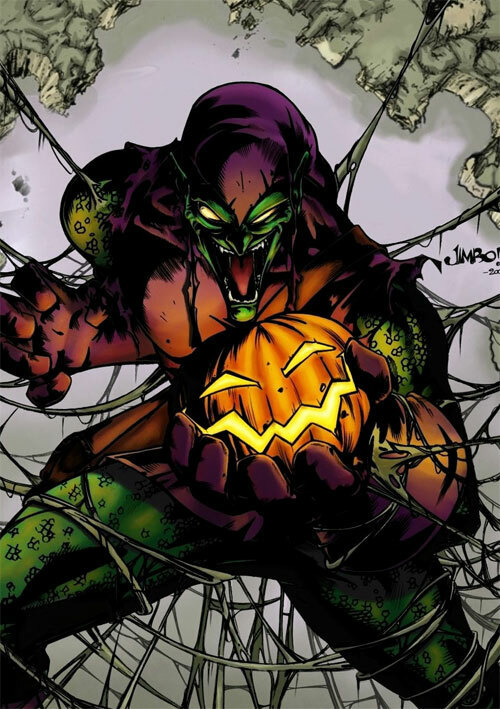 He is an amoral industrialist head of OSCORP and the father of Harry Osborn that took a serum which enhanced his physical abilities and intellect but also drove him to insanity. 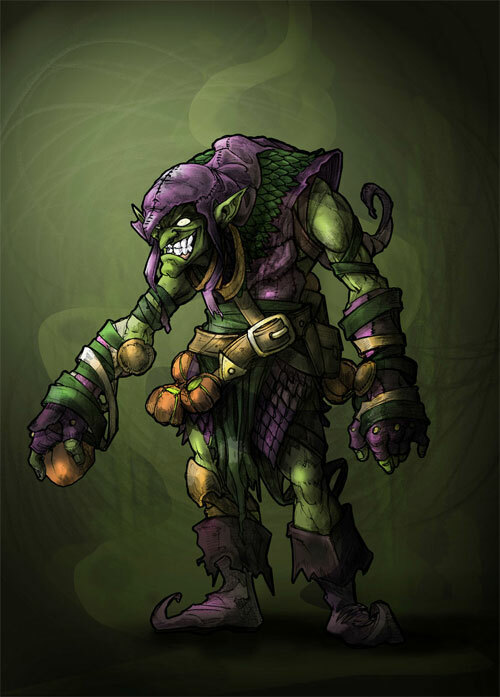 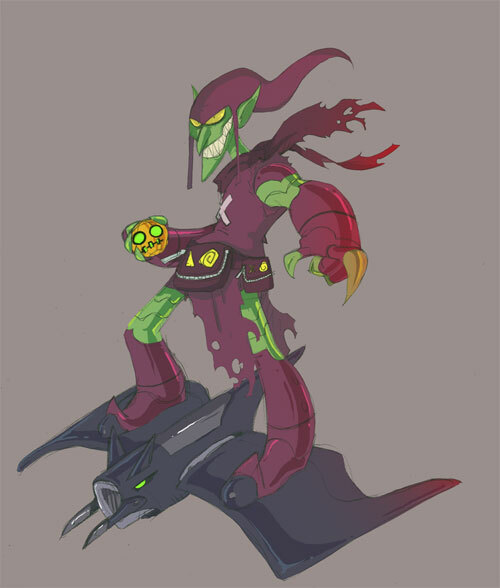 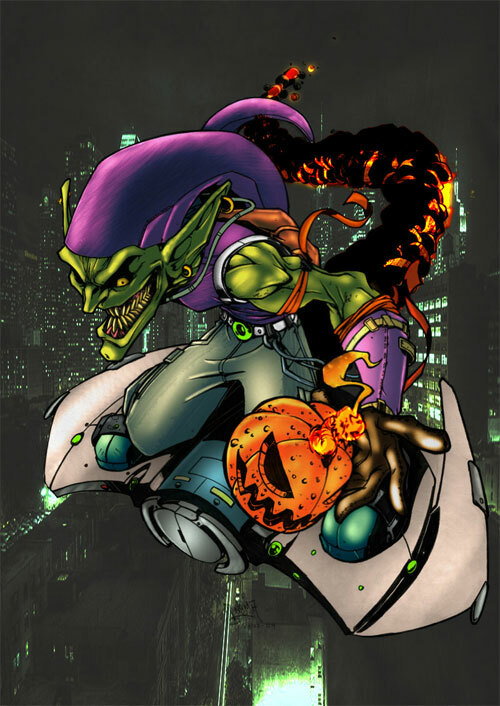 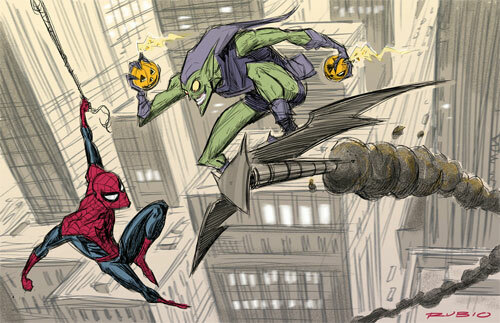 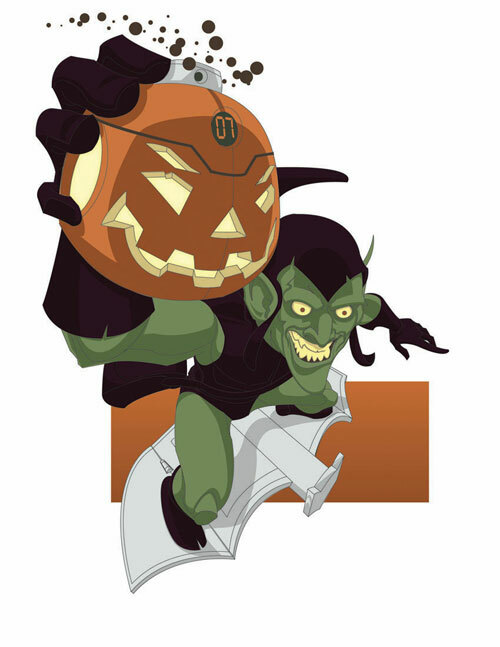 Dressing in a goblin costume, riding on a bat-shaped “Goblin Glider”, he uses an arsenal of high-tech weapons, notably grenade-like “Pumpkin Bombs”, to terrorize New York City. 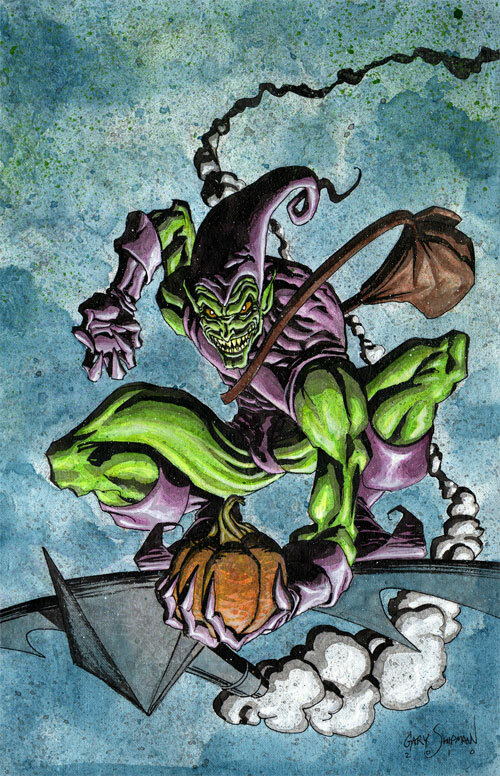 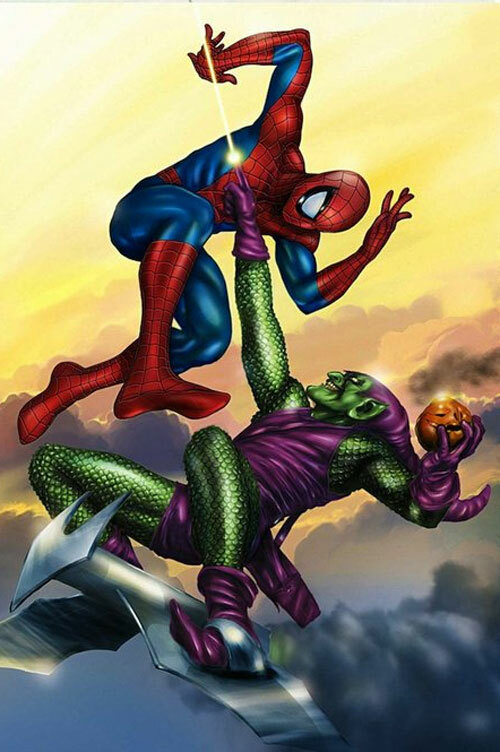 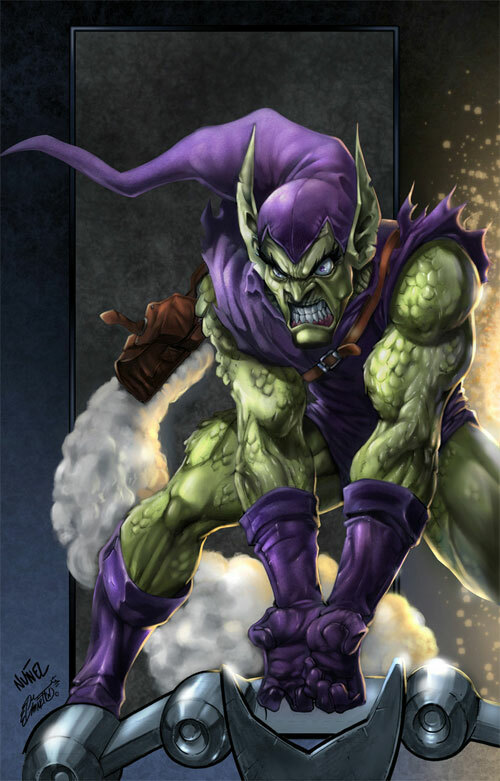 Green Goblin is one of Spider-Man’s most persistent foes and is considered to be one of the archenemies of Spider-Man, being directly responsible for numerous tragedies in Spider-Man’s life, such as the death of Gwen Stacy and the Clone Saga. 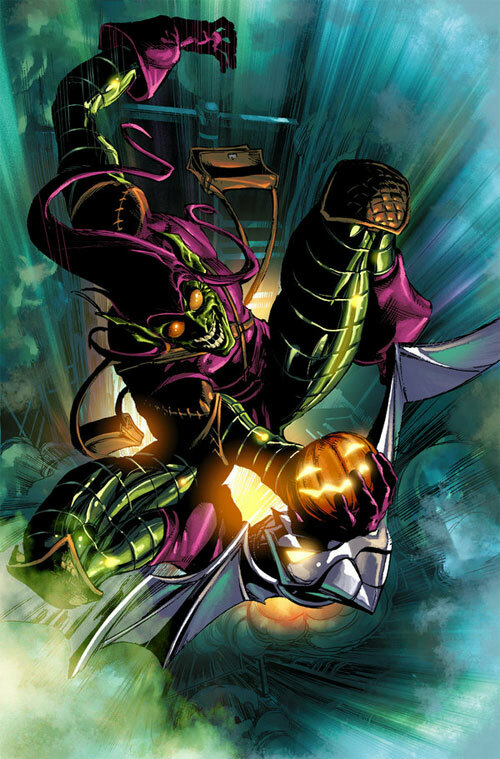 He is also the lead protagonist of the company-wide Dark Reign storyline. 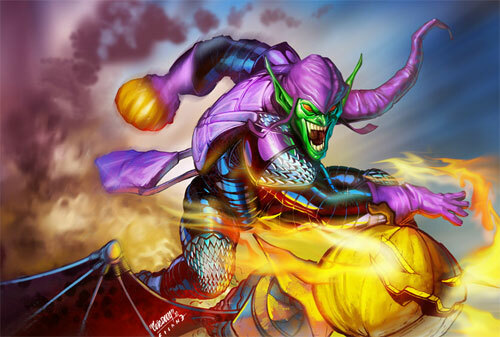 Check out this 22 Green Goblin Artworks and see how the character is illustrated by talented designers. 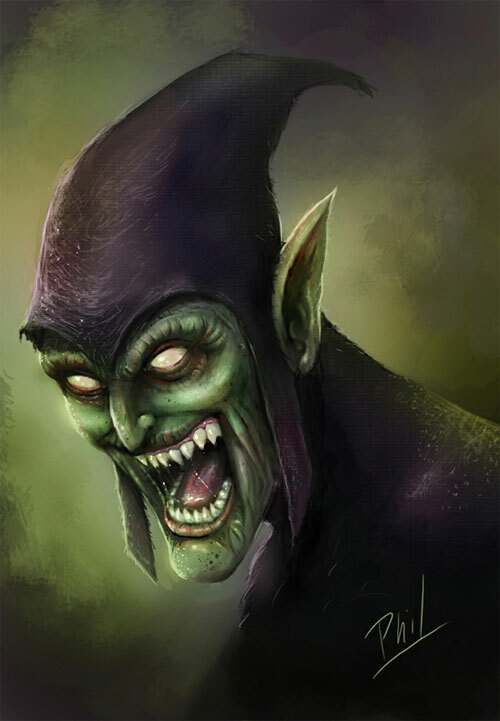 Be inspired as you browse throguh our entire collection!!! 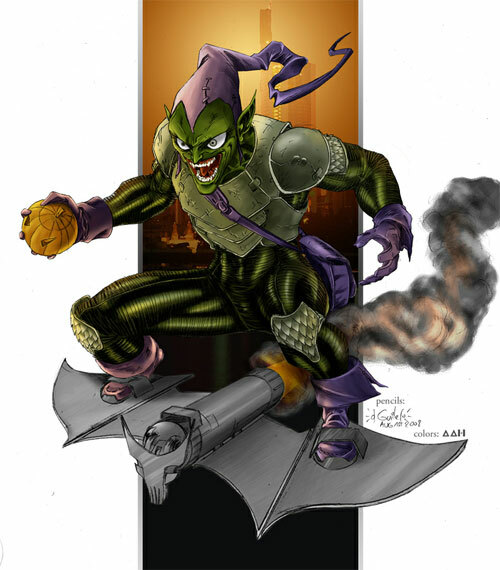 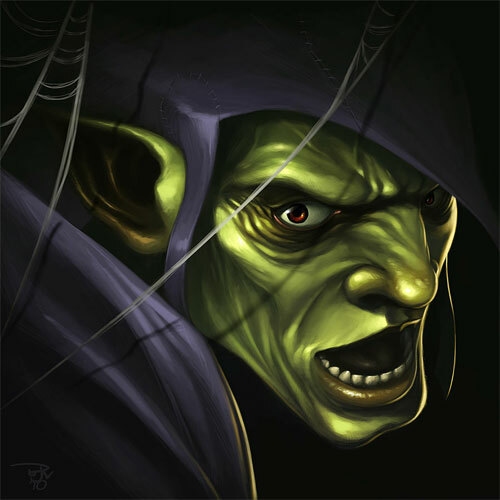 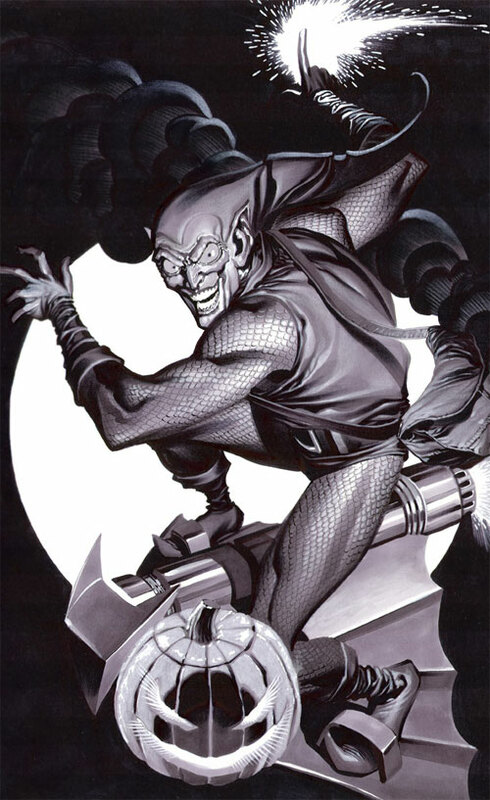 The Green Goblin has appeared in a number of media, from comic books to films and television series. 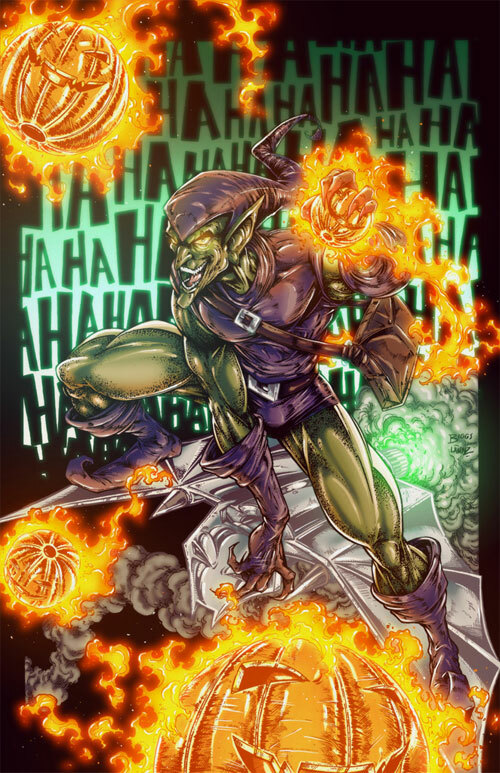 It is noted that each version of the character is typically established within its own continuity within parallel universes, to the point where distinct differences in the portrayal of the character can be identified.